Podcasts are hard for me. I'm not strong in the auditory receptors, and the time involved in getting information through my ears feels as slow as molasses compared with reading the same information. With a day job in public education, my time is always in short supply. Recently I took the time to listen an episode of Love (and Revolution) Radio with Sherri Mitchell, a Penobscot woman I find myself in action alongside fairly often. 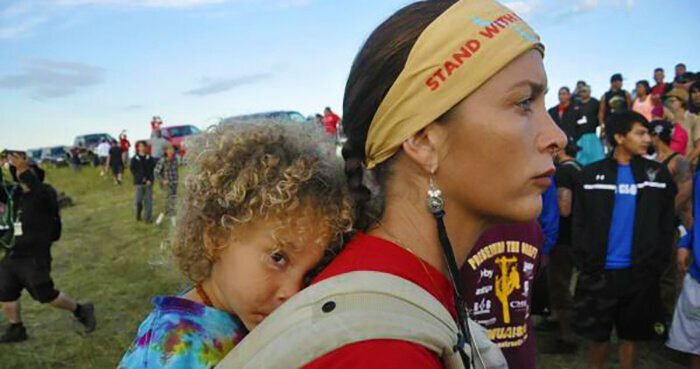 Sherri is an attorney who defends indigenous land and water rights, in Maine or at Standing Rock and elsewhere. She partners with Rivera Sun, "novelist and nonviolent mischief maker," to produce the show. This topic is of keen interest to me and so I listened to their podcast of "War On Earth: Militarism and the Environment with Tom Hastings." Both women brought wisdom and a wealth of background knowledge to their interview with Hastings, a professor at Portland (OR) State University who teaches peace studies and nonviolent conflict resolution. Environmental studies is not his academic area, but he owns no car and that is a good credential for speaking up on behalf of Mother Earth. U.S. taxpayers fund climate chaos because the Pentagon and its contractors consume more fossil fuel and produce more carbon pollution than any other organization on Earth. And I would add that the Pentagon has consumed more than half of every federal budget for the last decade. Why is the taxpayer generally so unaware of this problem? Because the Pentagon always manages to be exempted from calculations of carbon pollution. This blind spot is a big problem for 350.org and other carbon-focused environmental organizations. Possibly because they accept big contributions from Democratic Party PACs and donors, these organizations have willfully looked away from the biggest carbon polluter on the planet. Some of them even glorify militarism on the one hand while bemoaning climate chaos on the other. Aside from carbon in the atmosphere, the scope of environmental degradation caused by war and militarism purveyed by the U.S. taxpayer is astounding. According to Hastings, 900 of the 1,300+ superfund sites contaminated with hazardous waste are military sites. Radioactive waste, biological weapons byproducts and chemical warfare agents linger in our soil, water and air for generations. Known carcinogens abound among these pollutants. Birth defects soar in the countries your government is (still) bombing with depleted uranium. 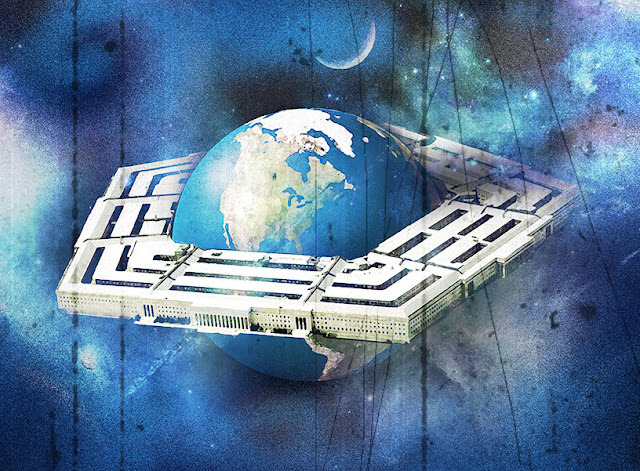 Who holds the Pentagon accountable for polluting Mother Earth? "Security" is always cited as the reason for the Pentagon's free pass to pollute. 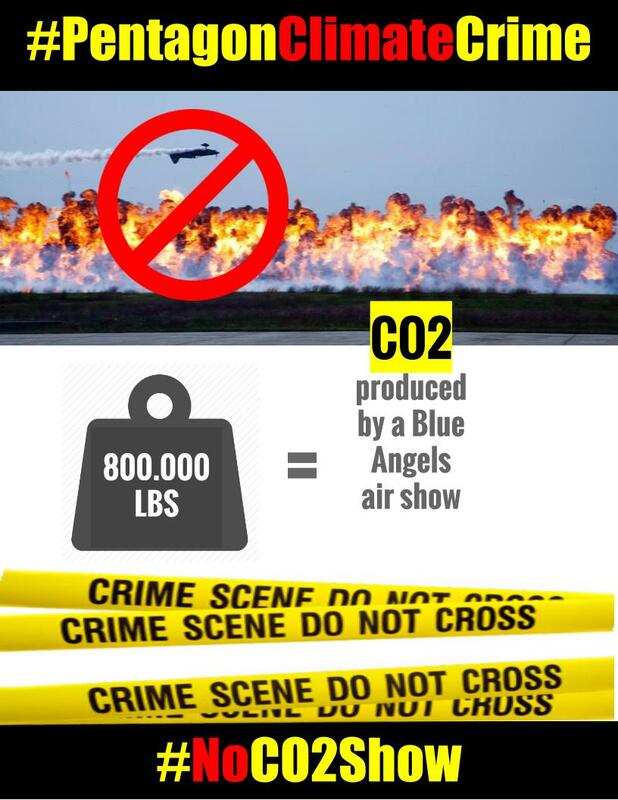 Because air shows like the Blue Angels, which burns napalm for entertainment in Brunswick, Maine every couple of years, are so important to national security. Not. 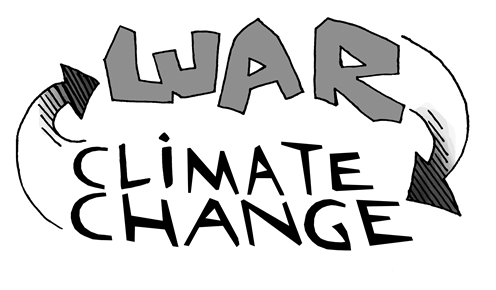 But climate chaos is in 2017 generally recognized as the biggest security threat facing humankind. So U.S. taxpayers are shelling out big bucks to increase the biggest security threat their grandchildren will face, all in the name of "national security." Sounds like a scam promoted by weapons manufacturers growing fat on Pentagon contracts to me. Don't expect it to get better with mercenary-in-chief Erik Prince advising Donald Trump from the shadows. What little coverage in the corporate press of the military pollution problem regurgitates Pentagon press releases. Search online for military + climate and you'll find lots of articles about what branches of the military are doing to plan ahead for their coastal bases to be inundated by the rising sea. I have a radical proposal: indigenous wisdom holders about how to live on Earth should be put in charge of national security. In my next post I'll examine what Hastings had to share about what the generals and admirals tell Congress they actually need to ensure national security. You may be surprised.